Clean houses begin with clean carpets. If you wish that your home is always fresh and clean you should make an effort to keep your carpets always clean and fresh. If you are not carpet cleaning savvy, call our company now and you can book our professional carpet cleaning service to help you. At our company you will find reliable help for any cleaning problem your carpets could have. Our carpet cleaning service is available everywhere in Canary Wharf and you can contact us at any time via email, phone or our website. Our company has many years of experience in the field of carpet cleaning and we can guarantee you that your carpets will be safely cleaned and sanitised. Our skilled and experienced cleaners are competent and know how to deal with various cleaning problems. 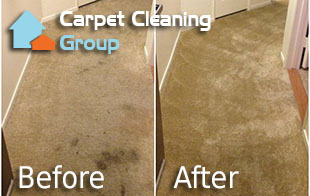 Our cleaners use steam cleaning machines that guarantee an easy, efficient and safe cleaning of any type of carpet. Our cleaners will vacuum your carpets first, if there are any tougher stains they will pre-treat them and then they will steam clean them. Steam cleaning is a quick and efficient way to also reduce allergens and bacteria, and to eliminate unpleasant smells. By choosing our carpet cleaning service you will be making yourself and your carpets a favour – your carpets will be treated and cleaned gently and efficiently, and our prices will be easy on your budget.